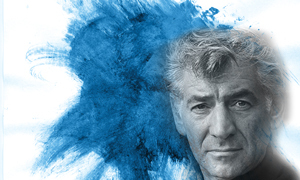 Join us for this concert celebrating the music of Leonard Bernstein during our season when we honor the 100th anniversary of the composer’s birth. From his earliest days, Bernstein demonstrated an absorbing interest in musical theater, organizing teenage productions of The Mikado and a highly unique interpretation of Carmen, in which he played the title role. Beginning with On The Town in 1944, Bernstein wrote a series of groundbreaking musical theater works over his lifetime that still hold the stage to this day, including Wonderful Town (1953); Candide (1956), and West Side Story (1957). Each of these works showcased Bernstein’s unique ability to blend popular and classical music to create a vibrantly and distinctly American musical theater idiom. In 1971, he was commissioned by Jacqueline Kennedy to write Mass for opening of the John F. Kennedy Center for the Performing Arts in Washington D.C., a wholly unique and somewhat controversial work that combines portions of the Roman Catholic Mass with more English selections penned by Bernstein, Broadway composer Stephen Schwartz, and even pop star Paul Simon. For this concert, Maestro Tito Muñoz, the Crested Butte Festival Orchestra and the acclaimed Crested Butte Opera Studio will team up for their first joint concert of the season. The evening will include selections from the composer’s popular musicals cited above, in an unforgettable evening of sparkling music, witty words and scintillating orchestration—Bernstein at his finest.